Scenic Fibres work with Scenic water to allow the easy and faster modelling of more realistic moving and white water eg waterfalls, rivers . They work in a unique way by forming the effect of a white moving base onto which Scenic water clings as it is poured or brushed even down vertical surfaces in waterfalls. 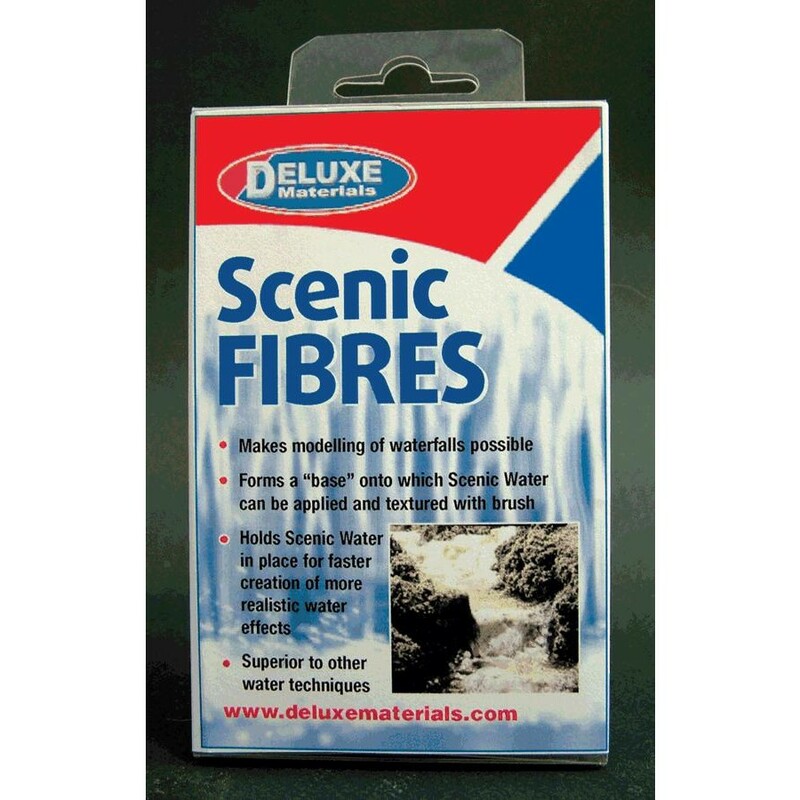 Scenic Fibres are a natural companion to Scenic Water to make more realistic moving water effects.